The 6 Practices of D-Life are modeled after the example of Jesus. Jesus followed these practices as He led His group of disciples: 1) fellowship, 2) teaching, 3) prayer, 4) ministry, 5) multiplication, and 6) accountability. 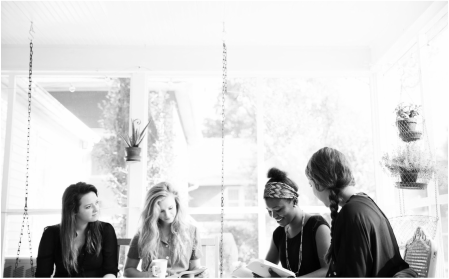 D-Life leaders will be equipped to follow these same six practices in leading a D-Group of 3 to 8 people. Annual Bible Reading Plans and Weekly Study Guides are provided for each D-Group to guide them in these practices. D-Groups (discipleship groups) can meet anytime and anywhere, including coffee shops, restaurants, parks, homes, schools, or places of business. The simple and repetitive practices of daily Bible reading, note keeping, story telling, interactive Bible study, and on-the-job-training in ministry and evangelism make D-Life a highly effective plan for making and multiplying genuine disciples. The Bible and the D-Life Website are the only tools needed to live the D-Life. Once you sign up, your church or ministry will receive a custom link for your D-Life website. Simply share this link with all who participate in D-Life and instruct them to log in to the site. Your site will be accessible from a computer, tablet, or mobile phone. Participants will log in weekly for their group’s Bible reading plan, study guides, and personal note keeping. It’s that simple. This tool will literally places at everyone's fingertips the power to live out the Great Commission for the rest of their lives. The D-Life content includes up to four years of Bible reading plans and weekly study guides. Excellent training materials are also provided for you to implement the D-Life plan. D-Group Weekly Study Guides come in both electronic and printed formats.